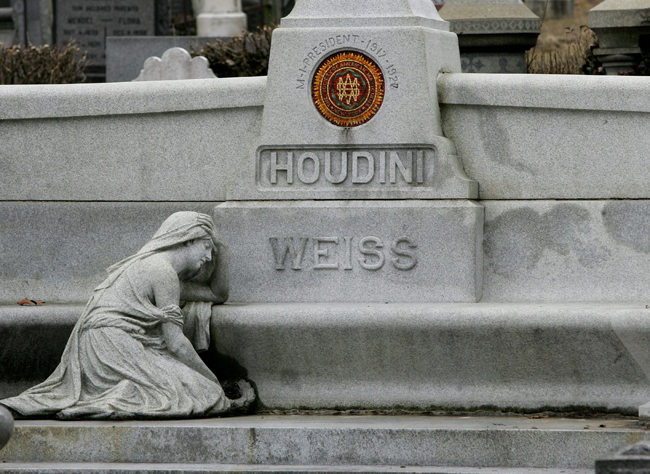 Houdini died on October 31, 1926, and every Halloween since, devoted fans have been trying to bring him back. Those who gather are more than just adoring fans; they’re often believers. 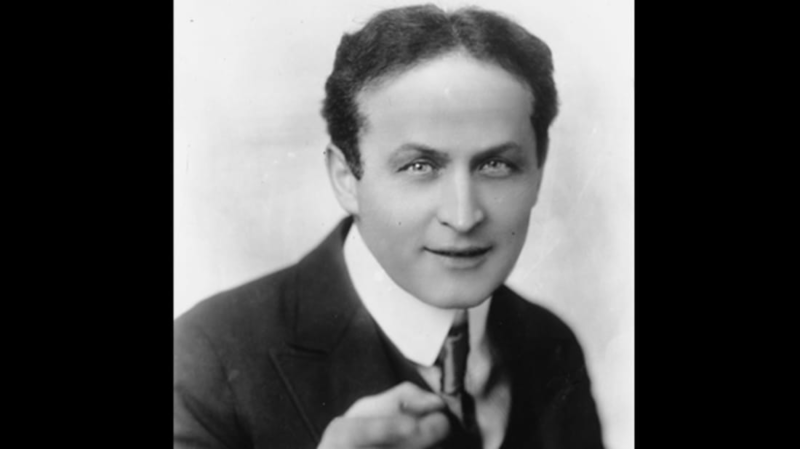 Many perform séances with the faith that if anyone could break free from the entrapment of death, it would be Houdini. The man himself was a bit of a Spiritualist and believed in the possibility of communication with The Other Side, though he was also a well-known skeptic. Those traits might seem in contrast, but essentially, Houdini was on a quest for the real thing. The loss of his mother in 1913 sent the magician into such deep grief that he stopped performing for a time and began to seek the counsel of spirit mediums. After encountering fraud after fraud (and easily seeing through their trickery), Houdini devoted himself to exposing their fallacies. Despite his lack of success in communing with spirits, Houdini and his wife, Bess, stayed committed to the potential of such contact, and made a vow that whoever died first would try to reach out from beyond the grave. The pair created a secret code: "Rosabelle- answer- tell-pray, answer- look- tell- answer, answer- tell" which spelled out “BELIEVE” in their private stage language. “Ten years is long enough to wait for any man,” Bess reportedly later said. Of course her final séance wasn’t the final séance, and the tradition continues to this day. There’s been no success in contacting Houdini, but the legions of believers keep trying, and the tradition has taken on new life (so to speak) online. An “official” séance is held annually in Danvers, Massachusetts, but for years, many also made a pilgrimage to the magician's grave in New York City’s Machpelah Cemetery on October 31. There, members of the Society of American Magicians (Houdini was president of the group when he died) recreated part of the famed magician’s funeral, which included breaking a wooden wand with a recitation of the line: “The curtain has at last been rung down. The wand is broken.” The Halloween aspect of the tradition ended after the cemetery operator decided to shutter the gates on October 31 every year because the ceremony attracted vandals. The Broken Wand Ceremony still occurs, but it happens in early November. The grave has seen a lot of damage throughout the years, from the bust of Houdini getting smashed with a sledgehammer, to granite benches and crypt covers being destroyed. The Society of American Magicians (with funds from David Copperfield) helped to restore the site—something Houdini himself did for other magicians during his lifetime. And so the many monuments and ceremonies continue nearly 90 years after the great magician’s passing, all in the hope that Houdini’s greatest trick is yet to come.